jason, Author at Bob Irsay Irrigation Design, Inc. Prevent unnecessary watering by having a rainswitch installed on your sprinkler system. With as much rain as the area has received in recent weeks, many people across the area have used their sprinkler systems more than necessary. People who do not have a rainswitch hooked up to their sprinkler system may wind up over-watering their lawns and plants. A rainswitch, a simple shutoff device, will keep a sprinkler system from operating when a property has received enough rainfall, such as ½” of rain. If it rains less than that threshold, the device will still allow the sprinkler system to operate. Leading irrigation businesses across the area can install rainswitches for customers to help them conserve water and save money. Call businesses that perform irrigation lake worth work to ask about costs for having a rainswitch installed. A rainswitch can improve the performance of an irrigation system and save consumers money over the long haul. Like other products, the components of sprinkler systems can break down over time. Keeping those components from running unnecessarily can prolong their life. A rainswitch, when properly set, will improve the efficiency of a sprinkler system and prevent unnecessary watering, which will reduce water usage and possibly lower customers’ water bills. Contact companies that repair sprinklers boca raton to learn more about other repairs, modifications and renovations that can improve the efficiency of your irrigation system. The best sprinkler companies across the Palm Beaches can help customers identify areas of water waste and suggest improvements that will lessen their water usage. 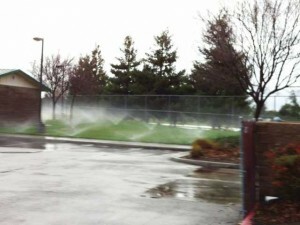 During a wet check, these irrigation businesses can move, raise, lower and adjust sprinkler heads to reduce overspray on to walls, sidewalks, walkways, roads and other surfaces that should not get hit by spray from sprinklers. Top sprinkler companies should also check customers’ clock settings to ensure that their sprinkler systems do not run more often or longer than they should. This entry was posted in Blog, Irrigation Lake Worth and tagged best sprinkler companies, check customers’ clock settings, conserve water, improve the efficiency of a sprinkler system, improve the performance of an irrigation system, irrigation Lake Worth, leading irrigation businesses, lessen their water usage, modifications, over-watering their lawns and plants, possibly lower customers' water bills, prevent unnecessary watering, rain, rainswitch, received enough rainfall, reduce overspray, reduce water usage, renovations, repairs, save consumers money, save money, simple shutoff device, sprinkler systems, sprinklers boca raton, the Palm Beaches, water waste, wet check on 11/16/2017 by jason. This entry was posted in Blog on 03/13/2017 by jason. Rainswitches prevent unnecessary irrigation after significant rain events like tropical storms. Rainswitches save consumers money and conserve water by keeping sprinkler systems from running when an area has received sufficient rainfall. When installed properly and working properly, these devices, now mandated for new sprinkler systems, will keep sprinkler systems from turning on if the determined threshold of rainfall has been reached. Companies that install sprinklers west palm beach like Bob Irsay Irrigation Design, Inc., can retrofit existing sprinkler systems with these relatively inexpensive devices and help customers save money on their water bills. Many people with sprinkler systems that lack rainswitches have unnecessarily irrigated their lawns during the recent wet weather. 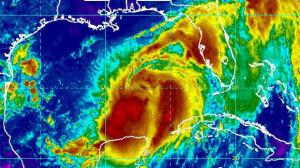 The tropical system formerly called Tropical Depression 8, which has now become Tropical Storm Hermine, has brought substantial amounts of rainfall to the area in the last week. However, people whose sprinkler systems lack rain shutoff devices have watered their lawns without need. 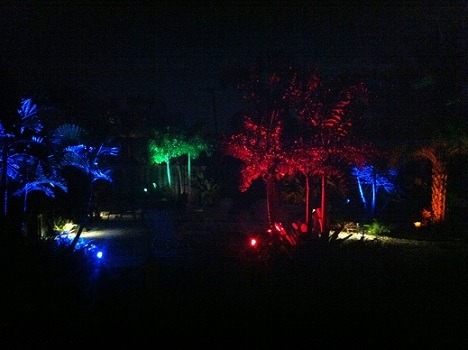 Licensed irrigation companies like Bob Irsay Irrigation Design, Inc. can help homeowners across the Palm Beaches save money and become more environmentally-friendly through the installation of rainswitches. Companies that offer irrigation lake worth services can help customers conserve water, lower their water bills and water their lawns only when necessary with devices such as rainswitches and “smart” clocks. Sprinkler companies can set rainswitches and similar devices to prevent unnecessary watering. For example, companies can set devices like the Hunter Mini-Clik rainswitch or Rain Bird wireless rainswitch to keep a sprinkler system from running if the rainswitch receives a ½” of rain. Thus, if a property receives only a trace amount of rainfall, or anything less than this threshold, the rainswitch will still allow the sprinkler system to run. Bob Irsay Irrigation Design, Inc. helps customers across the Palm Beaches reduce their water use and irrigate responsibly. Call us today at (561) 734-3997 to learn more about water-saving products for your sprinkler system in Boynton Beach, Lake Worth, Boca Raton, Greenacres, Delray Beach, Wellington, Lantana, Manalapan, Ocean Ridge, Atlantis and other areas. This entry was posted in Blog, Irrigation Lake Worth, Sprinklers West Palm Beach and tagged Atlantis, Bob Irsay Irrigation Design, Boca Raton, Boynton Beach, conserve water, Delray Beach, determined threshold of rainfall has been reached, Greenacres, Hunter Mini-Clik rainswitch, irrigation Lake Worth, Lake Worth, Lantana, lower their water bills, Manalapan, mandated for new sprinkler systems, Ocean Ridge, Rain Bird wireless rainswitch, rain shutoff devices, rainswitch, rainswitches, received sufficient rainfall, recent wet weather, relatively inexpensive devices, retrofit existing sprinkler systems, save consumers money, save money on their water bills, smart clocks, sprinklers West Palm Beach, substantial amounts of rainfall, Tropical Depression 8, Tropical Storm Hermine, unnecessarily irrigated their lawns, unnecessary watering, water their lawns only when necessary, Wellington on 09/01/2016 by jason. 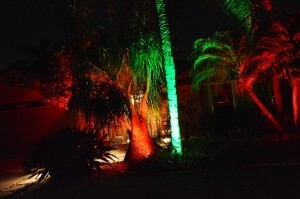 West Palm Beach sprinkler professionals will improve the performance of your sprinklers. Although it does not take an advanced degree to replace sprinkler heads or design an irrigation system for proper coverage and distribution, homeowners and property managers should seek out the services of qualified and knowledgeable professionals to get the best performance from their sprinkler systems in West Palm Beach. 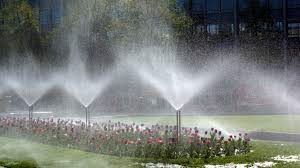 Although maintenance personnel and handymen can fix sprinkler heads and repair leaks, many of them do not have the knowledge or expertise to properly diagnose and correct sprinkler problems and ensure that the sprinklers on a property deliver the right amount of irrigation. Top irrigation south florida professionals will do the job right and spot potential problems before they become costly problems that result in dead plants or dead grass. 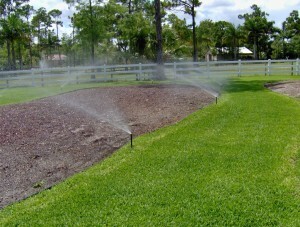 Hire licensed and insured irrigation professionals to fix your sprinklers west palm beach and get them working well. Qualified irrigation professionals will move and adjust your heads to improve spacing and water distribution. 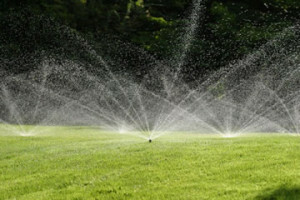 Even distribution of irrigation will improve the health of your lawn and landscaping. Top contractors may also make suggestions to upgrade your sprinkler system and make it more efficient. Numerous products can help you get better performance from the sprinkler system, conserve water and save money over time. Seek out experienced, certified and licensed irrigation west palm beach businesses to repair or renovate your sprinkler system, particularly if you have planned changes to your yard or plan to install new landscaping. These businesses will make sure your irrigation system will provide the sprinkler coverage your plants and lawn need. 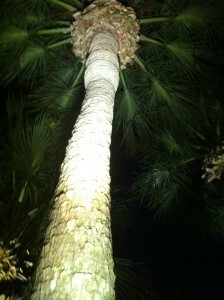 Bring in a sprinkler company before you plant new trees and other landscaping. This entry was posted in Blog, Sprinklers West Palm Beach and tagged conserve water, dead grass, dead plants, design an irrigation system, do the job right, even distribution of irrigation, expertise, fix sprinkler heads, get the best performance, homeowners, improve spacing and water distribution, install new landscaping, irrigation south florida, irrigation system, irrigation west palm beach, knowledge, licensed and insured irrigation professionals, make it more efficient, move and adjust your heads, proper coverage and distribution, properly diagnose and correct sprinkler problems, property managers, qualified and knowledgeable professionals, qualified irrigation professionals, renovate your sprinkler system, repair leaks, replace sprinkler heads, right amount of irrigation, save money over time, sprinkler coverage, sprinkler systems, sprinklers West Palm Beach, upgrade your sprinkler system on 02/12/2016 by jason.